Need A Subterranean Ferrari Garage For Your Sky-High Chicago Apartment? $3.4 million will get you a one-bedroom, which comes with an even more spacious subterranean garage. If you’ve got $3.4 million to burn and need a place to stash your Ferraris, look no further. Curbed reports that this 2,500-square-foot, one-bedroom apartment (bachelor pad, anyone?) sits atop Chicago’s Lake Point Tower. 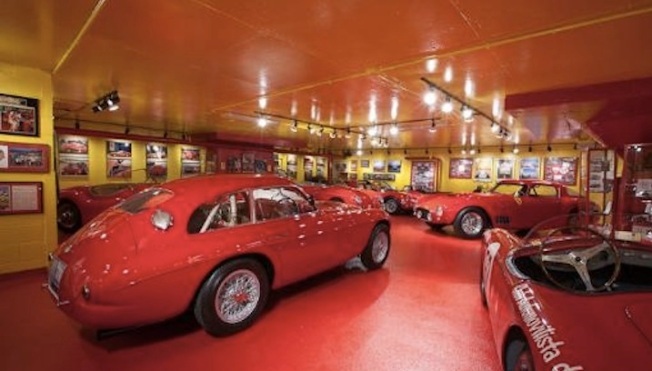 The asking price might seem steep, but take into account the 2,700-square-foot subterranean garage, which currently houses four Ferraris, a Porsche, and an Austin Healy. The garage, more aptly called a showroom, boasts bright red floors, Italian leather furniture, auto memorabilia, and a bar. Strictly shopping for a showroom? It’s available on its own for a cool $2.1 million.